Develop color recognition and sorting skills with bushels of realistic, relationally sized produce in this toy from Learning Resources! Perfect for dramatic play and nutrition lessons too. 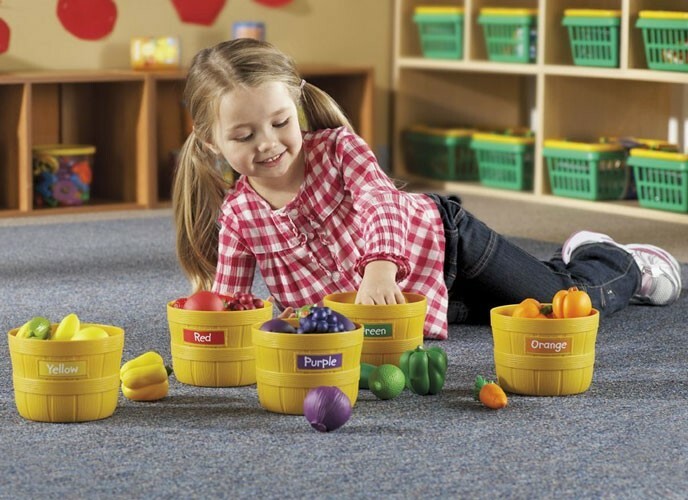 This set includes five baskets (red, yellow, green, orange, and purple), twenty-five foods, stickers for labeling, and an activity guide. 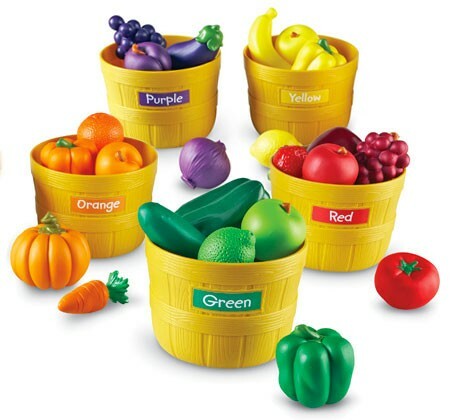 The produce is realistic, so it's fun for pretend play in the kitchen and useful for educational purposes.